How to Stay Motivated When Working from Home - The VA Hub Inc. Being a virtual assistant lends itself well to individuals worldwide, but not everyone finds it easy to work from home. As many VAs and freelancers know, there’s nothing quite like working from home. The flexibility and self-sufficiency can’t be beat. But that’s not everything. Being a Virtual Assistant has a clear upside: small but favorable effects on perceived independence, work-family conflict, career satisfaction, overall performance, health, revenue and stress. 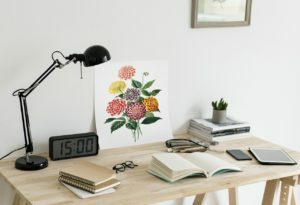 Contrary to expectations in traditional work settings, working from home has no upfront, harmful effects on the eminence of workplace relationships or supposed career prospects. However, working from home isn’t without its problems. 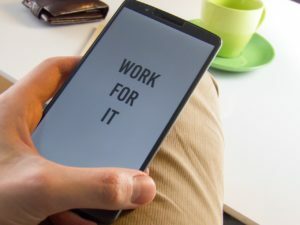 Not having to deal with a boss or co-workers all day is great, but at the same time needs the sometimes difficult need to stay motivated and on a task. We interviewed Iris Tan, a TVH VA we are truly proud of. She worked in the BPO industry before she became a full-time VA. She currently supports three clients from the Real Estate industry. The adjustment phase was difficult but today she’ll share strategies you can make use of in order to stay focused, motivated, and prolific when working from home. Iris learned about The VA Hub through a friend. Networking is important for anyone in any business, and even more so for at-home workers. There are a lot of networking events and groups available like local meetups and digital social platforms. If networking events aren’t up your alley, you might want to form your own personal support network by bringing together other VAs you already know. Being part of a group who understands the challenges we experience in our industry will help sustain you when you start motivation starts to fade. Do you know what “enclothed cognition” is? How do you feel when you hop on a conference call with your supervisor in your PJs, as compared to a 3-piece suit? In order to keep your enthusiasm levels up, dress in a way that gives you self-confidence and keeps you feeling your best. Working from home means countless possible disruptions. While a lot of them are good interruptions — a phone call from a friend or your dog wanting to play may be welcome — but they’re distractions nonetheless. Make the most out of this work from home tip! In an office setting, “If you want to sleep during your break time, the sleeping lounge is either too full or too cold or there’s always someone snoring really loudly.” Have a dedicated area where you can work in peace and another where you can take a break. Networking is great, but it does have its limitations. When working in a traditional work setting, “spending time with your teammates and supervisor is typical” according to Iris. One of the disadvantages of working from home is not having colleagues and a supervisor to brainstorm with. The lack of a strong support system can take a lot from you. In a work from home setting, you need to be as independent as possible. You need to “be aware and look for solutions. Challenge yourself,” she adds. “No one and nothing is perfect, however you have a brilliant brain, use it.” You can avoid this problem when you have a career mentor. This generally means having a professional encourager and supporter. While flexibility is one of the best facets of working from home, it can also destabilize your efforts to stay productive and leave you feeling out of control. Set a schedule to avoid this issue. Have a solid plan in place for how you’ll spend your days, including set break times. Make a list, check it off so that after shift, you can shut your computer down, enjoy a meal, brush your teeth then sleep without worrying about a thing. Know your client’s business goals so you know how to help and achieve all of it with them. Be the best virtual assistant you client can ask for. It’s easy to get diverted when you’re not accountable to co-workers. No one sees how many times you check Facebook, go to YouTube, or chat on the phone. When you work alone, even you may not know how much these actions eat into your work time. Studies show that people who work-out during the workday are more productive than those who don’t. This is important: you can use work time to exercise, and still achieve the same amount of productivity. Working from home can mean decreased movement and mobility, so building in time for exercise is key. Incorporate it into your morning plans for optimum, all-day benefits! Working from home is great for digital workers, but isn’t without its challenges. When you know how to stay motivated and on task is the secret to long-term work-at-home success. How do you stay motivated when working from home? Tell us today! We accept applications through our website and via our social media pages. Learn more about working with the VA Hub from legitimate and qualified employees.